The Hon. Gaston Browne passes the baton to Prime Minister the Hon. Dr. Timothy Harris. BASSETERRE, St. Kitts – Prime Minister of St. Kitts and Nevis the Honourable Dr. Timothy Harris has impressed upon his fellow heads of government of jurisdictions that offer Citizenship by Investment (CBI) programmes, as well as other key players within the industry, the urgent need to raise the standards of the region’s citizenship programmes, with greater emphasis on harmonization. “This will require us to reach out more to our target audiences in order to find out what their needs and investment interests are,” Harris said today as he delivered the keynote address at the 2018 Caribbean Investment Summit at the St. Kitts Marriott Resort. 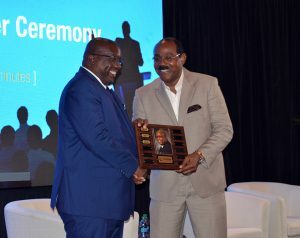 After accepting the baton from Antigua and Barbuda’s Prime Minister, the Hon. 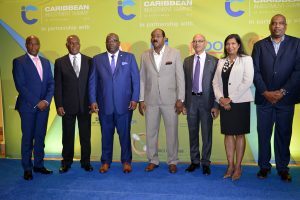 Gaston Browne, Prime Minister Harris stated that CBI programmes within the region must be sustained, and as such, noted that governments must work with all stakeholders to improve and lead the world in this unique development pathway. 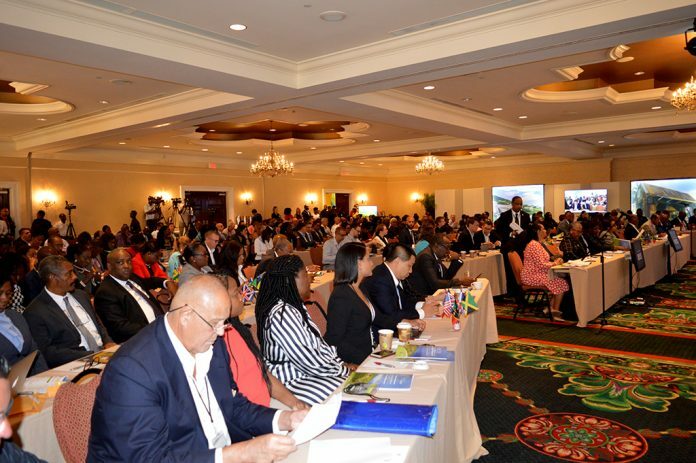 During the next two days, summit participants will be engaged in productive discussions on the need to embrace new technology for better CIPs; responsible conduct for service providers; governance and politics; ethical frameworks in global marketing; key approaches to sustainable development and collaboration for a common cause.